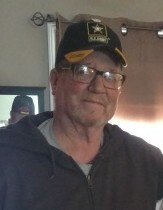 Jack Lloyd Reum, 73, of Norfolk, passed away, Tuesday, January 22, 2019 at his home. He was born to Robert and Jean (Collier) Reum on September 5, 1945 in Havre, Montana. Jack graduated from Havre High School and then received his teaching degree from Northern Montana College. After college, Jack taught in Montana. 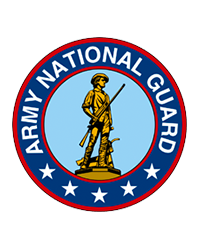 He served in the Montana National Guard from Dec. 26, 1963 to Dec. 25, 1969. He was united in marriage to Claudia (Graff) Bicknell on June 11, 2011 in Norfolk, Nebraska. Jack and Claudia lived in Norfolk, Dwight, and then returned to Norfolk in December, 2018. He was a member of the Dwight V.F.W. and the Valparaiso Village Board and United Methodist Church. Jack started a cattle business and later also worked with swine. He was also employed for the Parks feedlot in Humphrey. In his spare time, Jack enjoyed reading, being outdoors, and especially shooting his guns. He is survived by his spouse Claudia Bicknell Reum of Norfolk, daughter Sarah Scheer and husband Steve of Great Falls, Montana, step-children John Bicknell and wife Abi of Omaha, David Bicknell and wife Victoria of Burlington, IA and Debbie (Bicknell) Beaudette and husband Christian of Norfolk, step-grandchildren Heather Scheffler and husband Jeremy, Kyle Raney, step-great-grandchildren Jonah and Clara Scheffler, and Allie Raney. Jack was preceded in death by his parents and grandparents. Funeral Services will be held at 1:00 p.m., Saturday, February 2, 2019 at the Wherry Mortuary in Tecumseh, Nebraska with Pastor Chuck Graff officiating. Visitation will be from 11-1 Saturday, February 2, 2019 at the Wherry Mortuary in Tecumseh, Nebraska.